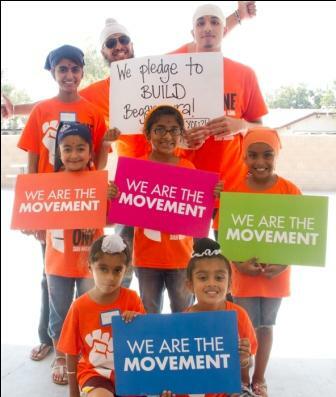 This fall, Jakara Juniors focuses on Building Begumpura, One Nishan Sahib One Sikh Nation & Giani Ditt Singh. Young Singhs and Kaurs throughout the state (and soon Texas & Toronto) have and will be participating in Giani Ditt Singh Day. The camp focuses on equality across all lines and remaining in chardikala. The camp discusses the struggles of Giani Ditt Singh and how his determination to promote equality serves as a reminder for us today to promote equality, justice & freedom. Participants will explore how the nishan sahib serves to unite all and allows us to hold our heads high in chardikala. Camps that took place earlier this month were a success. 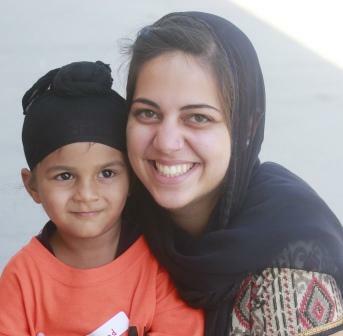 Below the fold are the refelctions of Haneet Kaur about the camp held in Kerman. equal society through my eyes. On September 29th I extended my pledge out to the younger generation through the Jakara Juniors Camp in Kerman, with the help of passionate and driven volunteers and moderators. The day started off extremely well, we were on time and the kids were ready to learn. The moderators were experts about the content, proving that they were there to help the kids. The discrimination factor in the content was a little tough on the kids, but they took it all in with that "I'm ready to cry" look on their faces. By the end of the day, when the kids finally learned the motive of the camp, everyone was a happy camper. There's times when I ask myself "Why am I even doing this?" You know, those stressful moments when you just feel like throwing everything down the drain and sleeping, but then there's the days like September 29th that make you realize why you continue to build that passion within yourself. There's nothing better than hearing a five year old ask you when the next camp is. Just those few words, make every moment worth it. Camps have taken place in: Kerman, Buena Park, Walnut, Los Angeles and Yuba City. Our Gurus called for the same equality, will we remain quiet or will we pledge to build Begumpura?